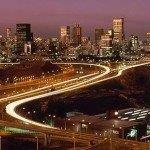 Cheap flights from many cities in UK to Johannesburg, South Africa £331! Summer Holidays flights Rome to Antananarivo, Madagascar from €441! SkyTeam partners Air France / KLM have just greatly discounted return flights from many cities in the United Kingdom to Johannesburg in South Africa. Return flihgts with one layover in Amsterdam or Paris are available already for £331! Fare is inclusive of all taxes and fees, onboard meals and checked luggage. There is great availability at this moment throughout whole year 2019. (Excluding usual blackout dates over Summer or Christmas Holidays). You will find the cheapest flights when departing from Inverness, Southampton, Manchester, Birmimgham or London. But there are many more competitive deals to this destination at this moment, you can book some greatly priced flights from Newcastle, Edinburgh, Glasgow, Durham, Leeds Bradford. Aberdeen, Cardiff, Bristol, Belfast, Norwich, Exeter or Humberside. This promotional sale with Air France-KLM is available when traveling from March to June or end of August to first half of December 2019 or January 2020. Max stay 3 months. These greatly discounted flights from the UK to South Africa are available till 18th of February or until the cheapest seats last..Air France-KLM is running global sale from the United Kingdom to selected worldwide destinations. If interested check list of Air France-KLM discounted flights in our previous article. This time the cheapest offer is available when you book your flight directly with the airlines. You can book your hotel in Johannesburg via Hotels.com or Booking.com. Below you can refer to our booking samples. You can easily compare all travel dates from your city as KLM offers month´s view. Some of the routes (e.g. from Inverness) require long layover in Amsterdam on your outbound flight. Consider to book multi-stop and spend day or two in the city before you depart from Europe to South Africa. This solution is available when adding approx £20 to base fare. Booking sample of cheap flights from many cities in the UK to Johannesburg, South Africa from £331! As per above link to this amazing Air France promotional deal you would deaprt from Inverness to Republic of South Africa on Saturday, 11th of May. Return from Johannesburg back to the United Kingdom on Monday, 20th of May 2019.